Founded in 1975, the Oncology Nursing Society with over 39,000 members continues to expand its mission of advancing excellence in oncology nursing and quality cancer care. 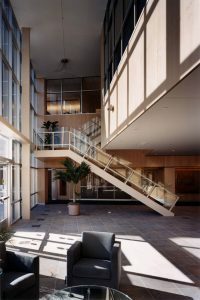 In 2000, we were retained to provide research and programming services that resulted in a decision to build a new 110,000 headquarters facility that included approximately 50,000 sq. 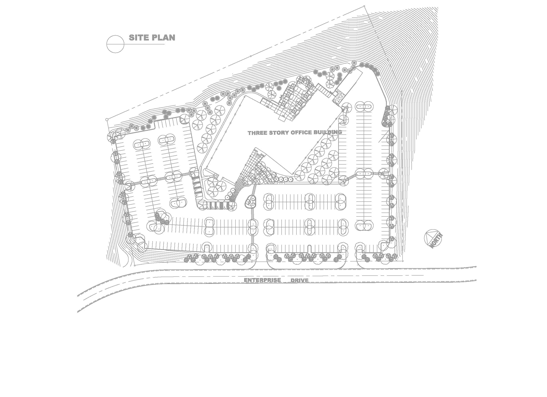 ft. of lease space on a 5-acre site located at RIDC West. 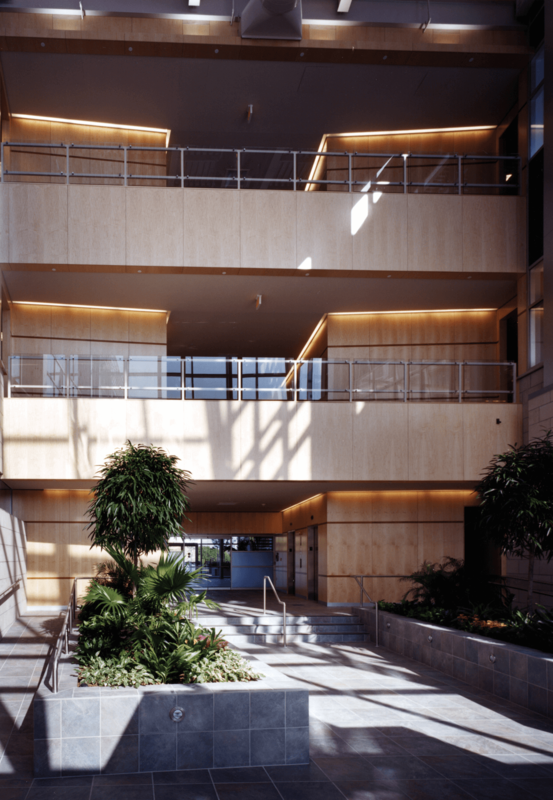 One of the first raised floor buildings in the region, and sustainability designed the building was shaped to provide both an entry and rear courtyards with two 80 ft. x 200 ft. bays x 10 ft. ceilings, providing an abundance of natural light. 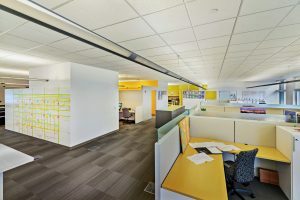 ONS offices located on the 1st and portion of the 2nd floor with departments designed as “neighborhoods” connected by an interior street with file islands intended to promote collaboration. 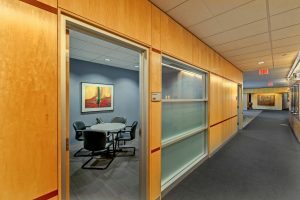 “Enclaves”, which now would be defined as huddle rooms were distributed throughout the space providing for individual privacy and impromptu meeting areas. Services included furniture procurement of all new systems furniture. 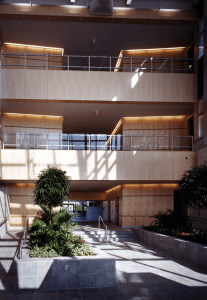 The project was completed in 2002 on schedule and within budget. 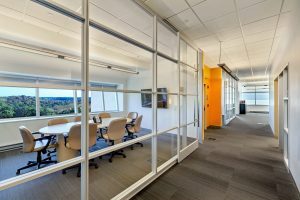 We provided a variety of services including changes required following the establishment of new for profit subsidiaries, cosmetic improvements, and the design of lease space for a variety of building tenants. 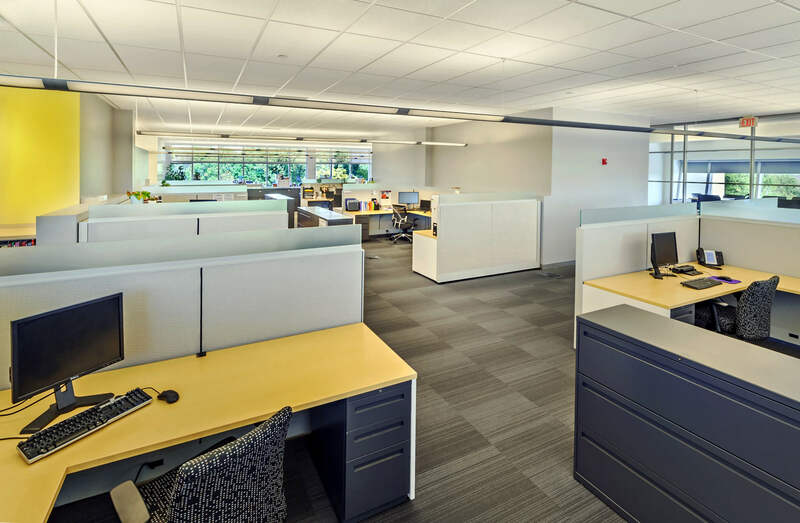 In 2015 we were retained to prepare a master plan, which responded to changes in the organization & dramatic changes, in the approach to office design. 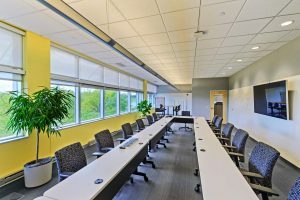 After extensive meetings with individual department heads and staff we worked with the ONS Leadership Team in establishing the following objective with the goal of “providing an improved work environment that better reflects the needs and aspirations today and into the near future,” with the following objectives. Comfort Develop a plan that improves thermal and ergonomic comfort. Collaboration Develop a plan that enables increased opportunities for collaboration. Efficiency Develop a plan that utilizes space more efficiently and reduces waste. Flexibility Develop a plan that increases flexibility both on a day to day and long term basis. 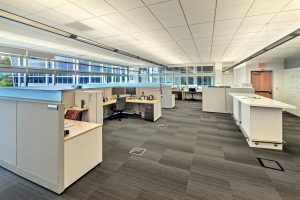 Reduction of ONS footprint providing for additional lease space. Maintaining 3’ set back between new low wall systems furniture and exterior walls and between installation of new window film to reduce heat gain. Elimination of walls bisecting 80’ x 100’ bays providing for more flexible workstation environment for ONS’s 14 departments. Providing glass enclosed collaboration areas that respond to the need for acoustic privacy. Updated Cat 6 cabling and audio-visual components. 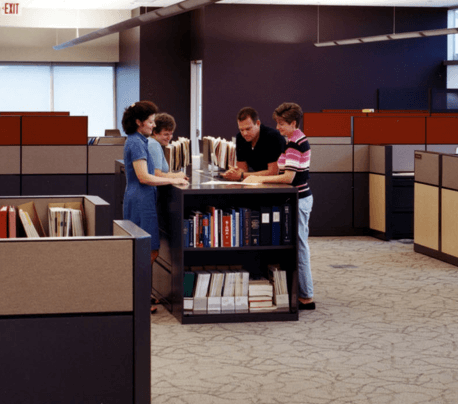 Bidding acquisition of new systems furniture, office, and common area furniture working with Workscape. The $2 million phased project was completed under the budget and on time.